This magnificent cape is made of lambswool woven in Ireland. This splendid cape is made of lambswool woven in Ireland. 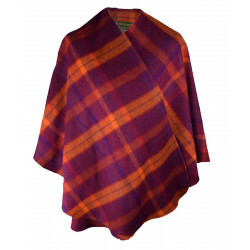 Soft and warm, it can be draped over the shoulders for great comfort and elegant style.